라 카롤리나에 있는 본 숙소(머큐어 그랜드 호텔 알라메다)는 키토 및 그 주변을 둘러보기에 완벽한 위치에 있습니다. 이 곳에서 생동감 넘치는 도시의 많은 것을 최대로 즐길 수 있습니다. 본 숙소 주변에는 Quicentro Shopping, 병원 보즈 안데스, 시네마크 등과 같은 인기 명소가 있습니다. 본 숙소는 최고의 시설과 서비스 제공을 통해 투숙객이 편안함을 느끼도록 최선의 노력을 다하고 있습니다. 투숙객들은 숙소 내에서 장애인용 편의시설, Wi-Fi (공공 장소), 주차장, 룸서비스, 공항 픽업/샌딩 서비스 등을 즐길 수 있습니다. 본 숙소에는 최고 수준의 편의와 편안함이 갖춰져 있습니다. 일부 객실에서 평면 TV, 에어컨, 모닝콜 서비스, 책상, 미니 바 등을 제공합니다. 본 숙소에서 피트니스센터, 마사지 등을 포함해 다양한 여가 시설/활동을 즐길 수 있습니다. 본 숙소(머큐어 그랜드 호텔 알라메다)는 어떤 이유로 키토에 방문해도 지내기에 매우 좋은 곳입니다. Great room, bed, WiFi and bathroom. Booked a superior king while on sale, very nice and spacious room! Facilities were great, location is good, about a half hour walk to the old town or short taxi ride. Excellent restaurants and bar although breakfast is fairly expensive if you have to pay separate. 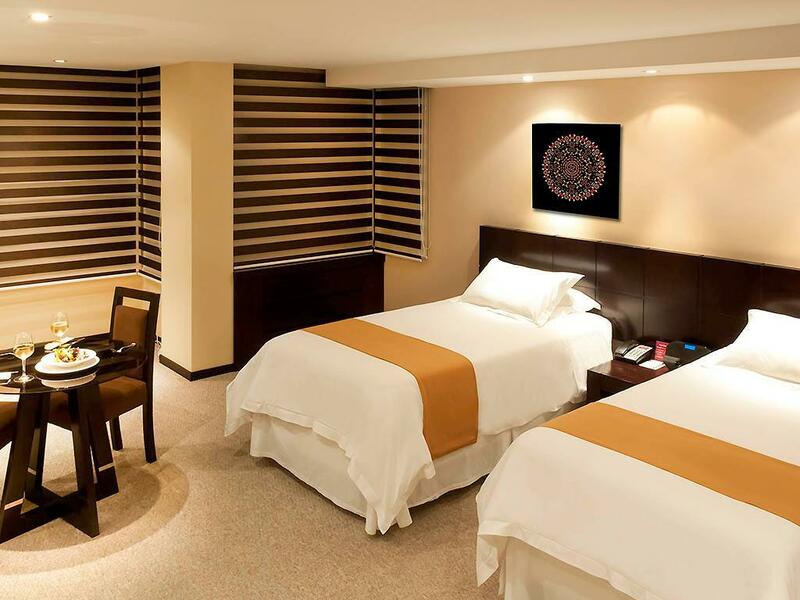 Overall we really enjoyed our stay here and recommend it to anyone in Quito! They upgraded us to the penthouse suite. The staff was very warm and friendly. The hotel is beautiful. 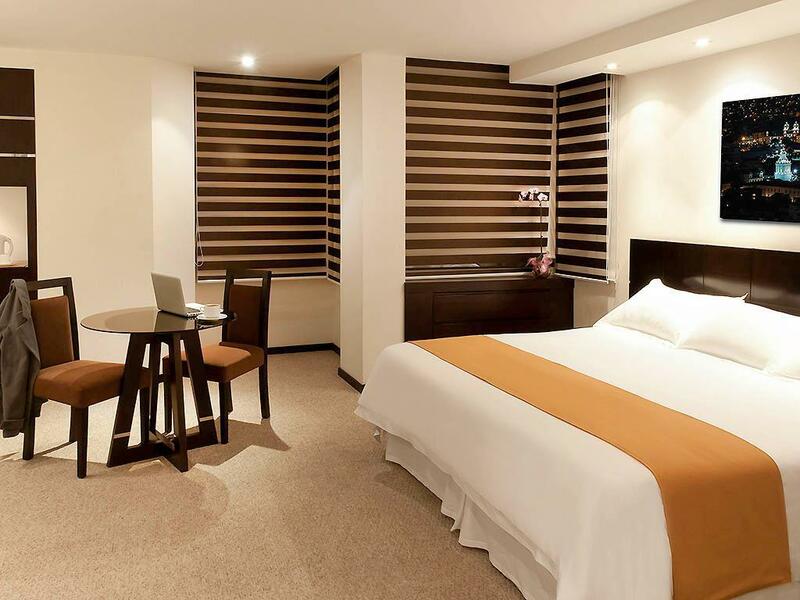 The Mercure is located in the La Mariscal area within walking distance of Plaza Foch with ample nightlife and dining options. It is also a short taxi ride to Centro Historico. Lobby has a decent bar and hotel itself appears fairly new. I'm not sure if this is common for all hotels in Quito but my room had no A/C or heat. Not that it was not working, just none at all. But for the price (less than half of JW Marriott and even much less than the Holiday Inn Express), I thought it was good value. it was great. 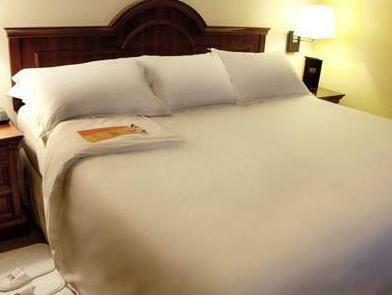 the staff is very gentle e the hotel is near from restaurants and places of interests. I was in Quito before leaving it for the Galápagos Islands. I could visit a little bit. The park close to the hotel (less than 5 minutes walk) is nice and there is a little market. The products are nice. Don't forget to bargain the price. The hotel was very clean and well kept and very modern looking. The room we had was very big with a seperate seating area and 2 tv's. The staff were helpful and room service was at a good price. We have stayed in 2 other hotels in the area but got a good deal on this hotel and it was very good. The location was ok as it was near shopping etc. Internet is frightfully expensive, all other accommodation we used came with free internet access. One of the beds in our room had a broken wheel, meaning the bed was on a tilt. They were unable to provide laundry services with a short turn around (about 12 hours). I love this hotel nothing negative to say except wish they had a swimming pool !! 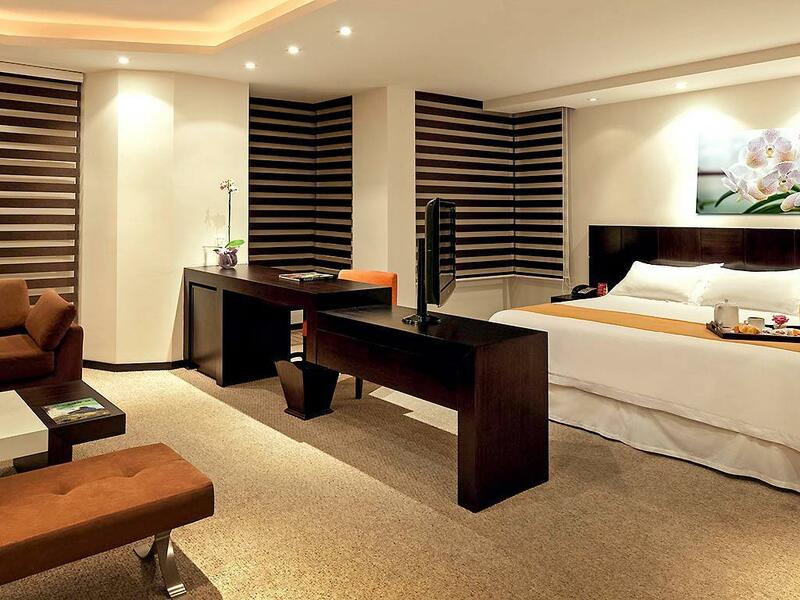 Perfect place to stay in Quito..Location and everything !! The rooms are very nice !! i really enjoyed my stay here the rooms are very nice and the room service is very fast !! 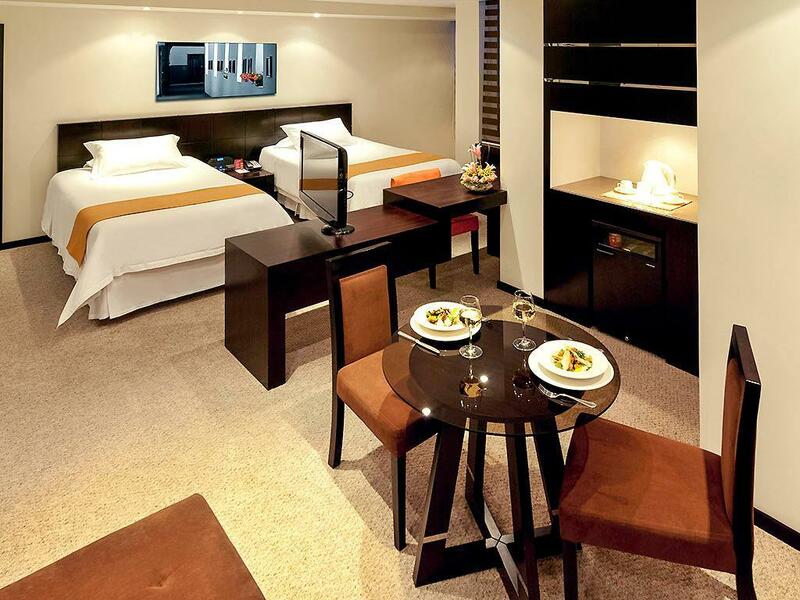 We reserved a double room for 2 nights, but since Delta flight from Newark was late, we missed our flight to Quito. As result, I did not get use of my room and wasted $85 for nothing. The hotel said that I had to check with Agoda.com to see if I can transfer the payment for that first night to another night later on. Other than that problem, the hotel gave us a huge room. I like the TV with its many languages - channels: Italian, French, Japanese, Korean, Chinese, not to mention English and Spanish. The hotel is also located in a nice area, though during the night I did hear several police car sirens and what I thought were gunshots. Overall the stay was OK - the rooms were big and clean but the front desk staff The concierge staff (doorkeepers etc) were really lovely and helpful. Good hotel, but service was bad at the hotel. I asked for help with the wifi in my room, no one came. When called room service, the food was always cold and they never collected the tray even after calling them. I would have to leave the tray outside. Wifi in a five star hotel, should be free. 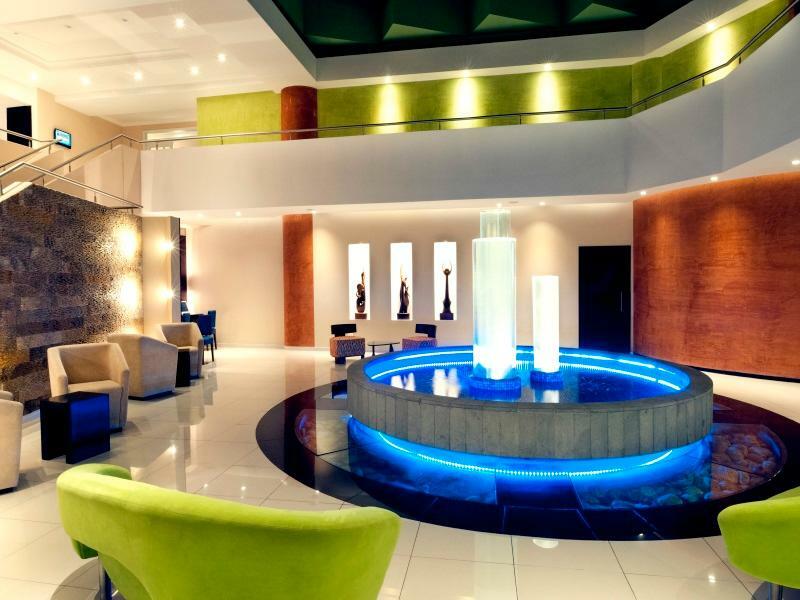 I had a very pleasant hotel at this hotel; the check-in was very smooth and the staff was very helpful and polite. The room was nicely decorated, and the bed was very comfortable. The only disappointment was the gym; it is a very crappy gym!!!! it was not clean or well maintained. There are nice coffee shops were you can have breakfast near the hotel, the one that I tried was quite good.